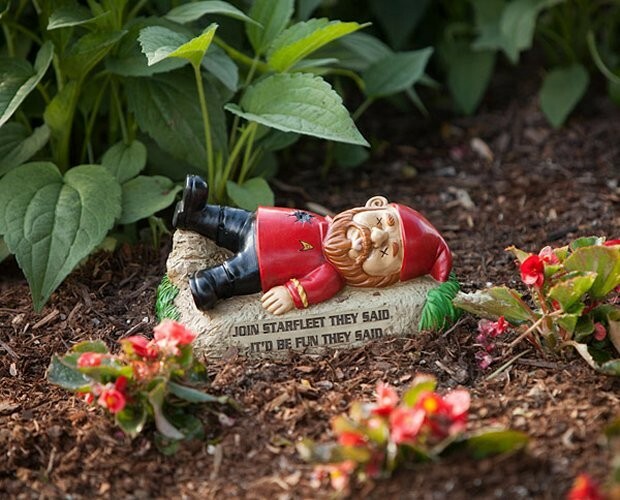 Make your garden the final frontier with these awesome Star Trek garden gnomes. Plain old gnomes are pretty boring. 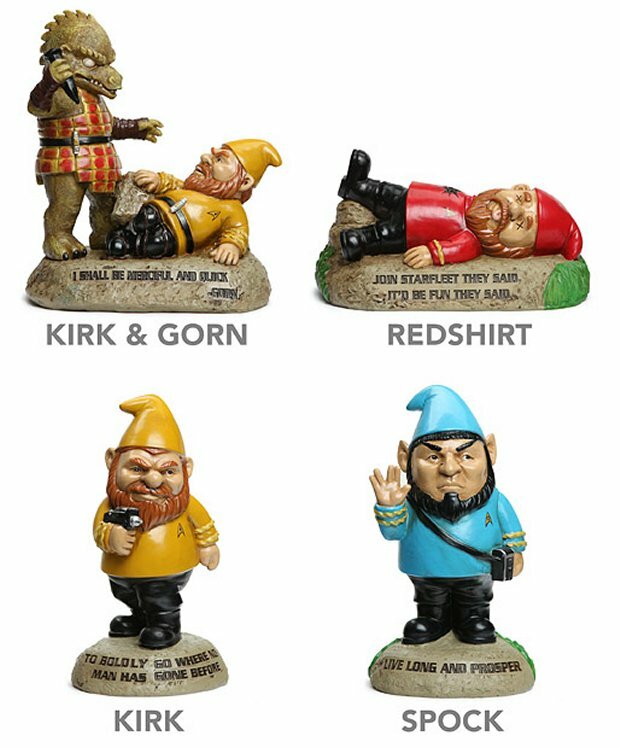 What you need are some gnomes with a Star Trek theme. You can choose from Kirk, Kirk fighting a Gorn, a Redshirt, or Spock. These are going to geek up your garden perfectly. They are made from durable cast polyresin, so they’ll last for years as your neighbors admire them. They go especially well with plants that look all exotic and alien. They are $24.99(USD) each from ThinkGeek. 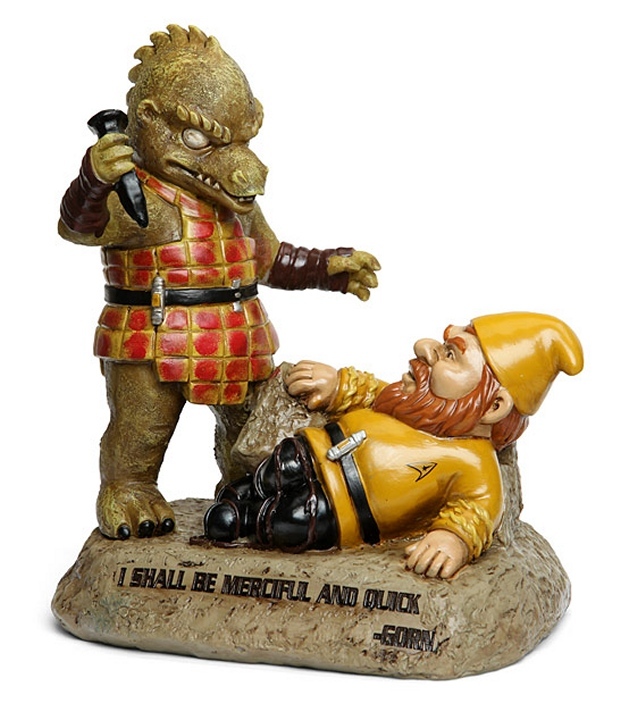 If you only choose one, I think the Gorn is a real winner.